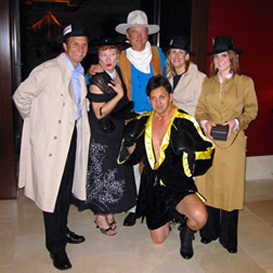 A new team-building event from Incredible Productions. 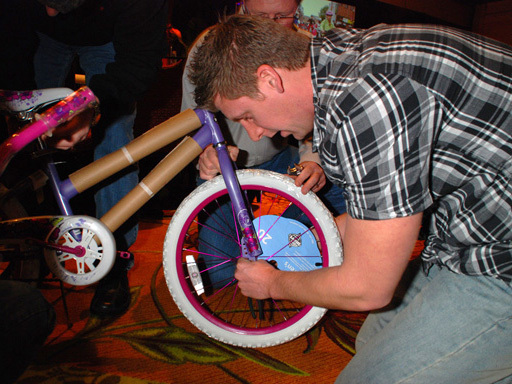 The event involves solving team challenges - completing a trivia quiz and putting together bicycles for a worth cause - the charity of your choice. Putting the bikes together for a worthy cause! It's a Team-Building event with a win win ending! IT'S BECOME A LONG STANDING TRADITION for Incredible Producitons to produce the Annual Presidents Awards Dinner for SWA. This year's event honored employes with 15 - 20 - 25 - 30 - and 35 years of service. 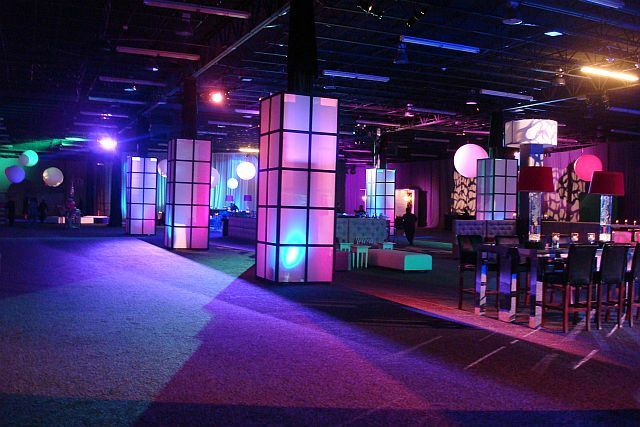 Incredible Productions provided turnkey production design and was responsible for the on-site execution of this annual event. Jeff Tracta, Las Vegas headliner was provided the evenings entertrainment. Additional entertainment served to provide transitions during the evening. 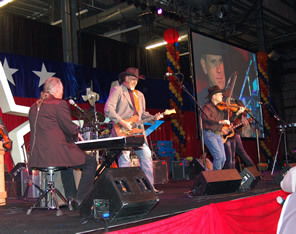 This VIP crowd included 2500 guests. INCREDIBLE TRANSFORMATION OF THE HILTON ANATOLE EXHIBIT HALL - INTO THE SWA RECEPTION EVENT. 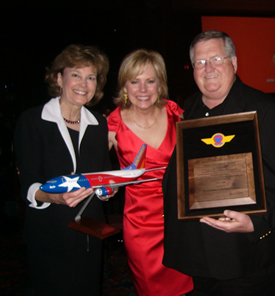 BONNIE PIEDMONTE AND MAC MARTIN RECEIVE SOUTHWEST AIRLINES' GOOD NEIGHBOR AWARD IN 2009 FROM GINGER HARDAGE ON BEHALF OF INCREDIBLE PRODUCTIONS - DALLAS. 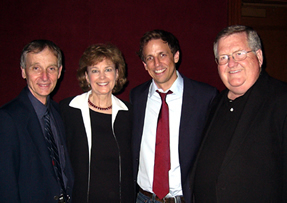 SWA HEADLINER, SETH MEYERS, SHOWN WITH JIM GAERTNER, BONNIE PIEDMONTE AND MAC MARTIN - INCREDIBLE PRODUCTIONS - ASSOCIATES. Incredible Productions invited several celebrity guests to welcome Award Winners to the Texas Health Resources annual Awards Dinner. The International Association of Expositions and Events (IAEE) gave Incredible Productions the challenge of producing a training video for first time exhibitors. Incredible responded by writing and directing an educational music video covering topics like proper dress, body language, and trade show etiquette. Taking its signature theatrical approach, Incredible wrote songs and musical skits to deliver the content. The entire project was shot in a black box theater where custom sets, props, and lighting created the ambiance. The video includes on camera interviews with Author and Business Etiquette expert Colleen Rickenbacher who elaborates on trade show "do's and dont's." 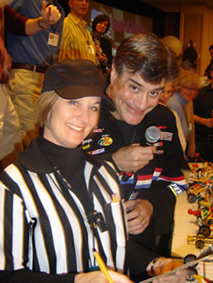 The result is an entertaining and informative "how to" for exhibitors looking to make a lasting impression at a trade show. Mary Kay Music Production - Incredible Productions has produced the music behind the message at Mary Kay's annual seminars and conferences for over 28 years. The turnkey music production package includes arrangements, orchestrations, production number tracks, lyrics, producer and recording services. 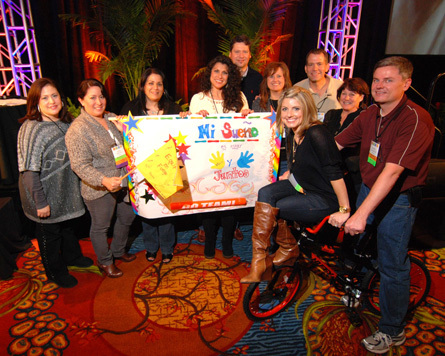 GlaxoSmithKline Meetings - Technical Design and Execution, Media Services, Production Management, Sets, and Teambuilding Programs for meetings and recognition events in San Antonio and Dallas. 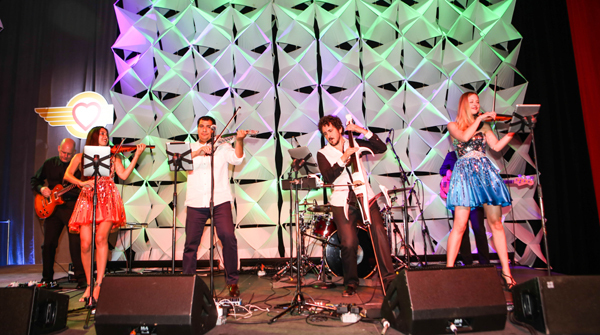 AT&T Cotton Bowl Events - Annually Incredible Productions delivers Theme Parties, Entertainment, Sets, Decor, and total AV support for the series of events surrounding the big game. THIS YEARS THEME EVENT WAS, BACK TO THE 80'S! check timings for the final races!